Patient-Centric Care Must Include Empowered Patients, But What Does That Mean? HomeNEWS & VIEWSViewsPatient-Centric Care Must Include Empowered Patients, But What Does That Mean? Patient-centric care, a buzzword in healthcare reform, should be the obvious goal for any health care system. "What a concept," I utter with a hint of sarcasm. Put the patient at the center of the decisions, resources and desired outcomes?! However, patient-centric care is also dependent on a related concept: the "empowered patient," a subject CNN medical correspondent and fellow preeclampsia survivor Elizabeth Cohen writes about in her column and book, The Empowered Patient, available in our Marketplace. An empowered patient is one who has the information she needs to act proactively upon her preeclampsia symptoms. She also has an effective relationship with her care provider(s) so she can communicate her concerns, ask questions, comply knowingly with agreed upon treatments, and make educated decisions. And if she doesn't have the appropriate relationship with her providers, she is confident about asking for what she needs or seeking help elsewhere. Sometimes it takes a third party to help her get what she needs. A trusted partner, family member or friend sometimes fills that void. Often, our Community Forum becomes that life-saving voice that pushes her to seek immediate medical attention and acknowledge that inner voice that says something just isn't right. 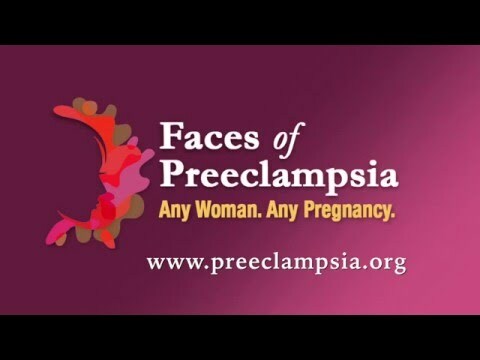 A great example is this case, when Jonathan Barker became a worried husband, got involved in his wife's care and later said, "One piece of advice that the moderators on the Foundation's Forum always shared is that preeclampsia can strike at any time and can get very ugly, very quickly. It is a piece of advice that made the difference." And if you want a laugh about this empowered dad stepping in, read about his experience shopping for nursing bras. That's one lucky wife! A recent mom had extreme birth anxiety, which is not uncommon for preeclampsia survivors. She advocated for herself and was able to get a sedative during delivery, improving her birth experience considerably. A mom who had lupus, putting her at much higher risk for preeclampsia, wasn't receiving the kind of care or information she should have. She changed providers thanks to the encouragement of her online support system. Later, despite having preeclampsia, she wrote, "Thank you guys so much! I couldn't have gotten to this finish line without you! I was so knowledgeable and cautious. Got that from this website!" These stories and many more confirm the importance of sound information and strong support guiding your role as an empowered patient, one of the hallmarks of patient-centric care. I want to thank Heather Curtis and all our Forum moderators for the smart and empathetic support they provide every day. It's not an understatement when we say they have literally saved lives! Maternal Deaths Up. Maternal Deaths Down. So Which Is It?